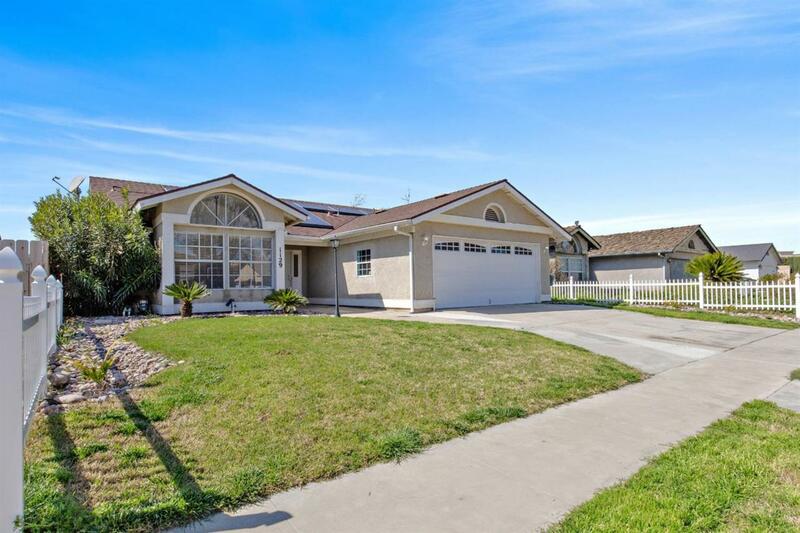 Wonderful home in NW Visalia! This efficient and well-designed floor plan includes an open kitchen with granite counters, stainless appliances, large breakfast bar, convenient center island and an adorable breakfast nook. The sizable great room offers an inviting brick fireplace and plenty of open space for entertaining and everyday living. You will also find 3 spacious bedrooms and 2 bathrooms. The backyard offers low-maintenance living and is the perfect place to relax and entertain! This home won't last! Enjoy saving energy with the solar system at 13 cents a kWh! Call for your private showing today.